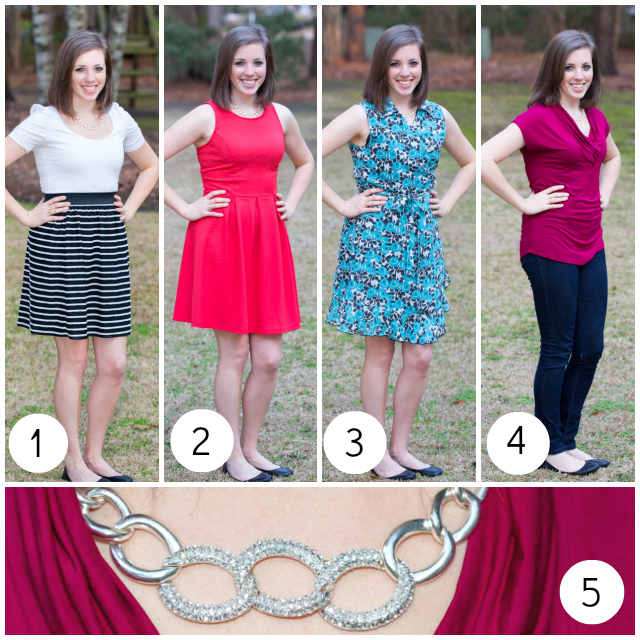 Want to see what I got in this month’s Stitch Fix box? 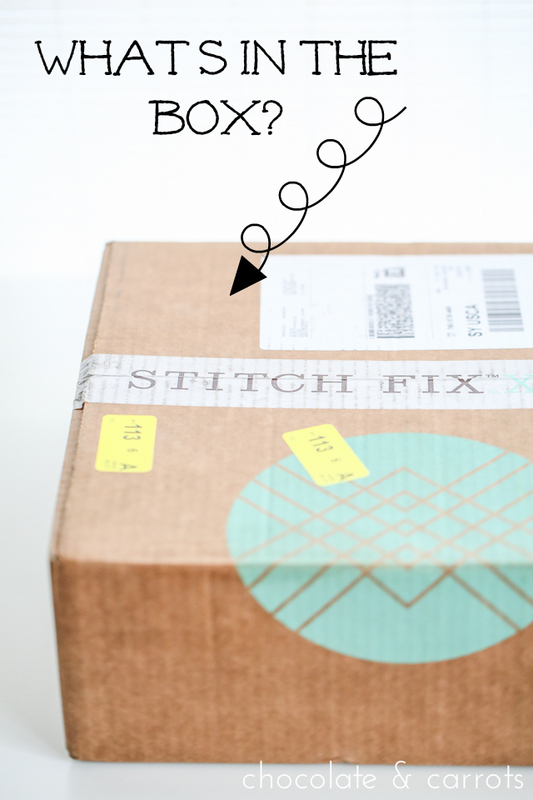 Before we get to the clothes, if you haven’t heard of Stitch Fix before, it’s an online service where you fill out a style profile, pay $20 to have a stylist pick out clothing or jewelry for you and send them to you. Once you receive them, try them on and you have three days to choose which ones you’ll keep and which ones you’ll return (package and shipping already included). If you keep any of them, that $20 styling fee goes towards your final purchase. 1. 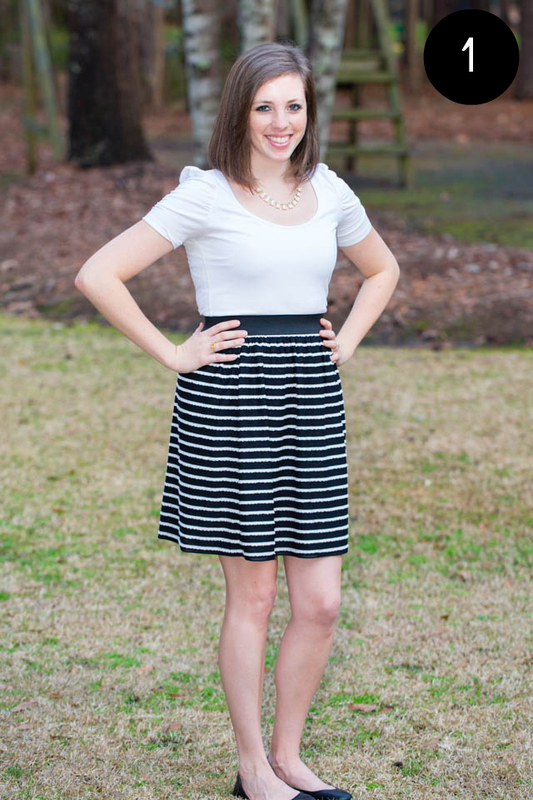 41Hawthorn Reyn Mini Scalloped Detail Skirt – I’ve decided I’m not a skirt person. The elastic band on this skirt hit me so wrong and I never could decide where the band should be placed on my body. It went right above my hip bones (yes, my hips sit inside of my ribs) and it just looked strange. It’s like, ‘You have a short waist, let me make it look shorter. Oh and you have long legs, let me lengthen them a little more for you!’. Oye. This skirt is $58. 2. 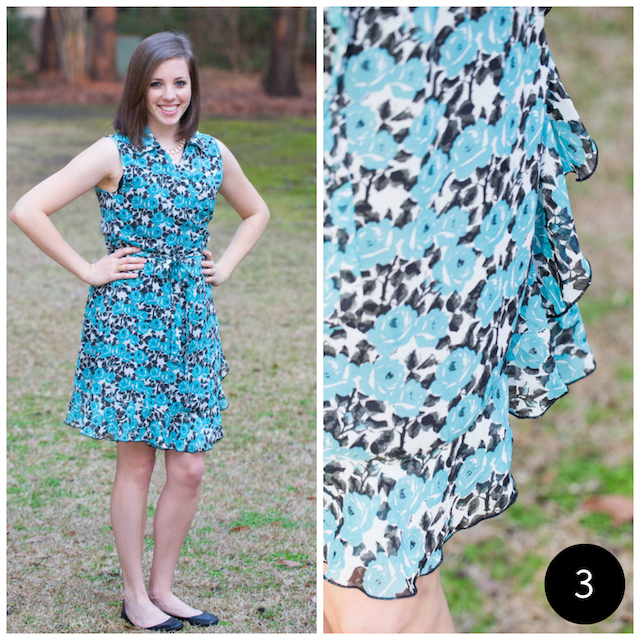 Ezra Kim Racer Back Fit & Flare Dress – This dress is so cute! I love the color and the racer back on it. It made my top half look great! However, as soon as I take my hands off of my hips, it accentuates my short waist and lovely love handles like a champ. Yeah, I wasn’t even brave enough to show you a photo without the hands on hips. Make it an empire waist and I’d be all over it! This dress is $64. 3. Tulle Pascal Watercolor Rose Print Dress – I love that this is a wrap dress. I had never tried one on and it was super comfortable and hides all the problem areas. Because I’m smaller busted, the dress really flared out at the top and showed my bra on all four corners. Besides the large bust issue and print issue (too granny? ), I like it! This dress is $48. 4. 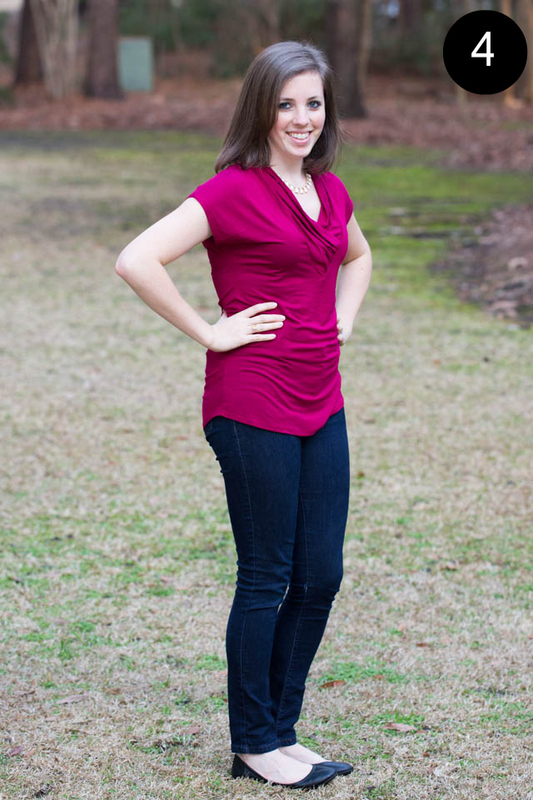 41Hawthorn Wren V-neck Cap Sleeve Jersey Top – In theory, this shirt is perfect for me. It accentuate the bust and has a lovely curve on the bottom. Because the shirt is jersey it shows every little dent and bump. I don’t know if I could handle all the imperfections. Stupid type-a personality. This shirt is $48. 5. 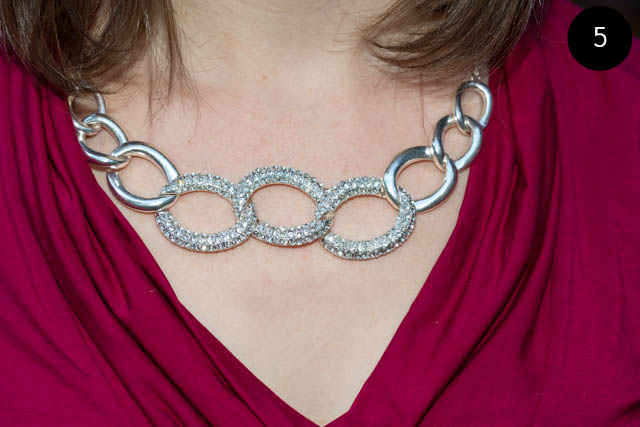 Bay to Baubles Lindsey Rhinestone Link Necklace – This necklace was so strange. It has grooves where they link together, but unless you positioned the necklace just right on your neck and promised not to move at all the entire day, it would lay perfectly. Yeah, I’m not doing that. This necklace is $28. Let’s recap. Keep in mind that I chose the cheapest box option, again. Thanks again for bearing with my fashion and if you want to sign up to try Stitch Fix for yourself, click here. What a great idea to have your sisters (or any friends for that matter that are the same size) try on the pieces you don’t want. aw good I’m glad your sister kept dress #2 because it IS so cute! I’m so hesitant to try stitch fix since I’m incredibly picky and don’t want to lose out on the styling fee every time by returning the items. My husband would not approve……. 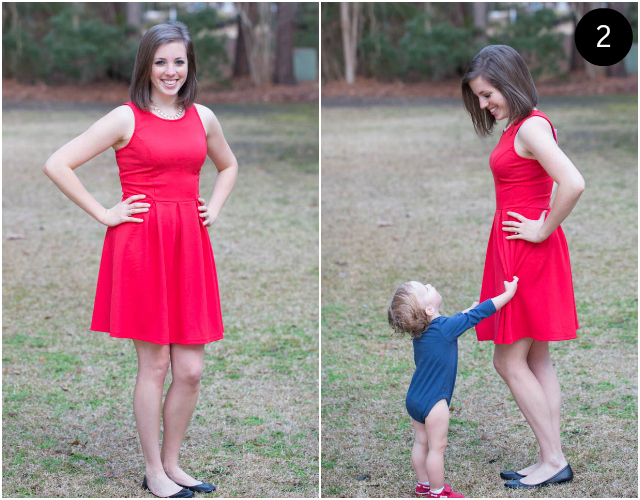 I loved the red dress on you. It’s great your sister kept it, since you can definitely borrow it. 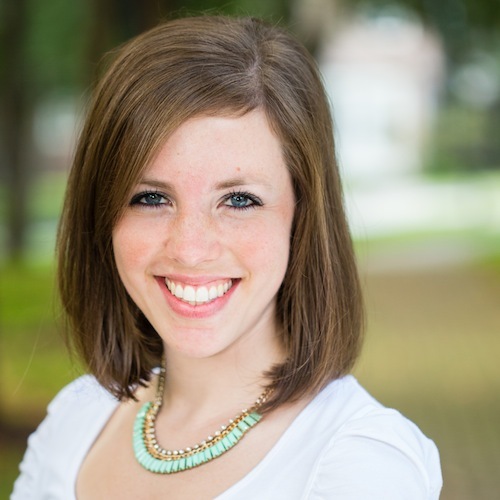 Stitch fix needs to send you some ‘Charleston’ style spring clothes. The warmer weather will be here to stay before you know it. Thank God for 65 and sunny today! I love #1 and #2. I requested dresses for my next fix, but hopefully ones with sleeves. #4 is cute, but that material is not body friendly. All of it looks so cute on you! Im (not so) patiently waiting till March 6th when my first one comes. How nice is it to have someone shop for you!? Wish I could take a stylist to the mall ha. Great post.